Your guide to holiday shopping, plus the dramatic story behind the first Thanksgiving, and a listener is burned out in her ministry. Jake stood in the freezing cold for a cheap computer. Ashley loves Black Friday shopping, while Jon (Ashley’s husband) can’t stand it. Lisa has grand plans to get all her Christmas shopping done by October, but never does. Let’s face it: holiday shopping can be stressful. Our panel offers help, hope and solidarity as we tell stories about navigating crowds, regretting purchases, and giving great gifts to people who give lame gifts back. Plus, we’ll tackle a listener question: Is it creepy or sweet to get your crush a Christmas present if you’re not even dating? The Pilgrims were pretty hard-core. 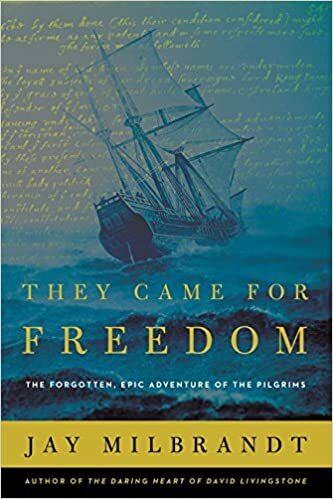 Their journey from England was literally deadly, but they braved it because of their strong religious convictions. We could learn a lesson or two from them; Jay Milbrandt studied them and did just that. Jay lays aside the folksy tales of pumpkins and turkeys, and details what actually happened that first Thanksgiving and what it means for us today. She’s been in full-time ministry for over 10 years. She’s single. And she’s burned out. Do her sad feelings mean that God is taking her in another direction? Would she find a husband more easily if she quit ministry and did something else? Lisa Anderson gives encouragement and advice.